Leverage Journey Analytics to understand and visualize aggregate customer journeys across time, devices and channels. 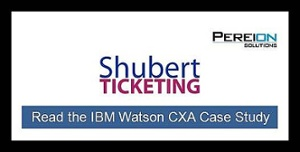 Journey Analytics in AI powered Watson Customer Experience Analytics (CXA) offers multi-channel path analysis with the ability to create journey reports that provide a consolidated view of the customer journeys. This allows you to compare path popularity, duration, revenue and customer values across unique segments, like web, mobile and email. With this valuable insight into your customers' interactions, you are better equipped to quickly resolve potential issues, increase conversions and optimize every journey to create loyal customers. All allowing you to make better, faster and smarter business decisions across customer touchpoints and realize a return on investment (ROI). Click here for Pereion Solutions CXA formula, "Creating Journey Reports to Understand Customer Journeys and Optimize Conversions" and to learn more about Journey Analytics.